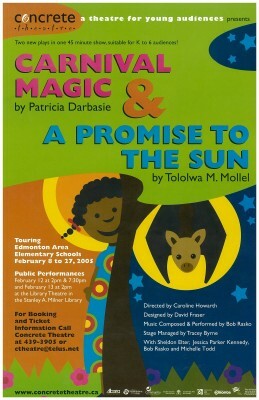 Mollel adapted this play from his book of the same title. The play has been published in the anthology, SPROUTS! : An Anthology of Playsfrom Concrete Theatre’s Sprouts New Play Festival for Kids, by Playwrights Canada Press, Toronto. For details of the book, see A Promise to the Sun, the book.